If you have any questions about the AL SAID information page below please contact us. 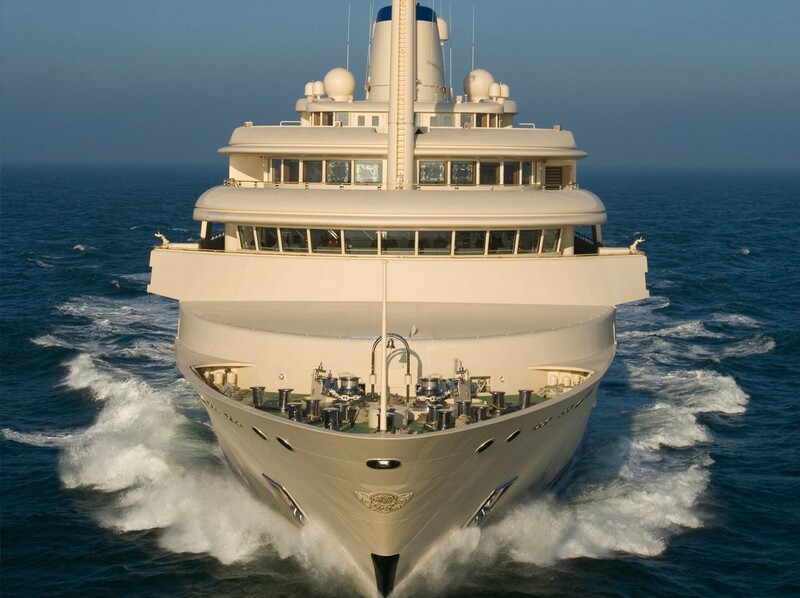 The motor yacht AL SAID is a 155 m 509 (foot) imposing steel ship which was crafted at Lurssen Yachts and her design is by Lurssen and Espen Oeino. 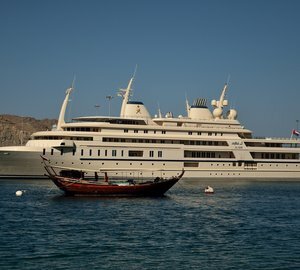 Sleeping 70 passengers and 154 crew members, motor yacht AL SAID was registered as (Project Sunflower). This balanced boat was designed with the naval architecture of Lurssen and Espen Oeino. Espen Oeino produced the interior design and styling. 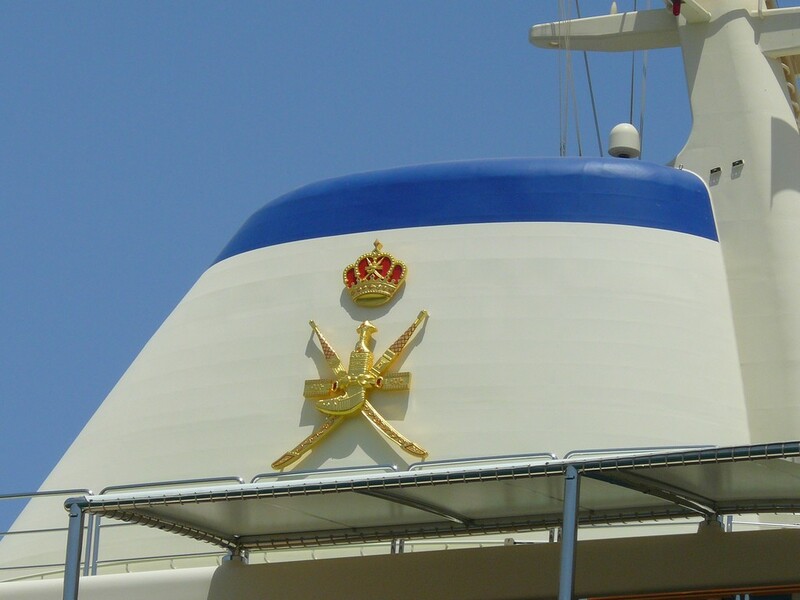 Motor yacht AL SAID was launched in 2007 for Sultan Sayyed Qabus bin Said as Said of Oman, also known as Sultan Qaboos bin Said. 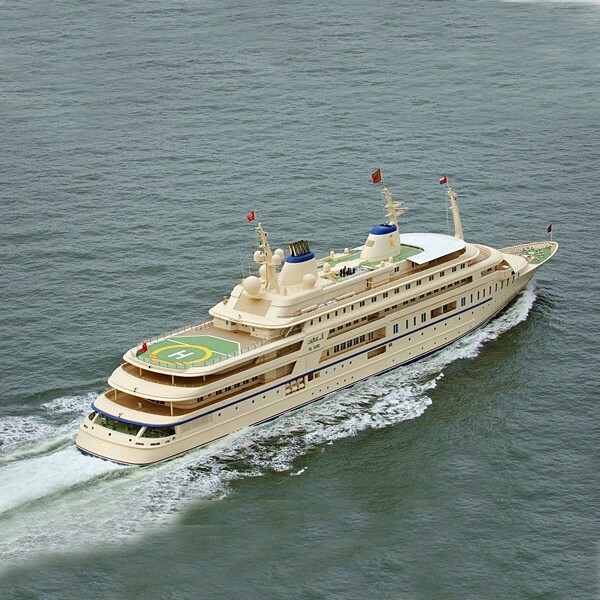 Lurssen was the naval architecture company involved in the technical vessel design work for AL SAID. Her interior design was realised by Espen Oeino. Lurssen and Espen Oeino is also associated with the yacht wider design collaboration for this yacht. In 2007 she was formally launched to accolade in Vegesack and following sea trials and detailing was thereafter delivered to the owner. Lurssen Yachts completed their new build motor yacht in Germany. The main hull was crafted from steel. The motor yacht main superstructure is made extensively using aluminium. With a beam of 24 m or 78.74 ft AL SAID has massive size. A fairly deep draught of 5.2m (17.06ft) limits the amount of certain marinas she can enter, depending on their minimum depth. 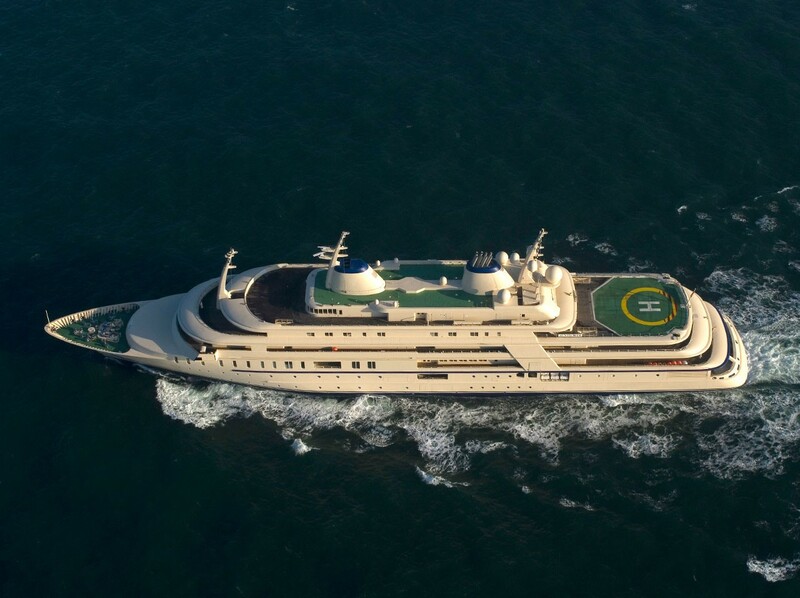 The enormous luxury yacht motor yacht AL SAID can sleep as many as 70 people and 154 professional crew. 155 metres / 508.53 feet. The luxury yacht AL SAID displayed on this page is merely informational and she is not necessarily available for yacht charter or for sale, nor is she represented or marketed in anyway by CharterWorld. This web page and the superyacht information contained herein is not contractual. All yacht specifications and informations are displayed in good faith but CharterWorld does not warrant or assume any legal liability or responsibility for the current accuracy, completeness, validity, or usefulness of any superyacht information and/or images displayed. All boat information is subject to change without prior notice and may not be current.